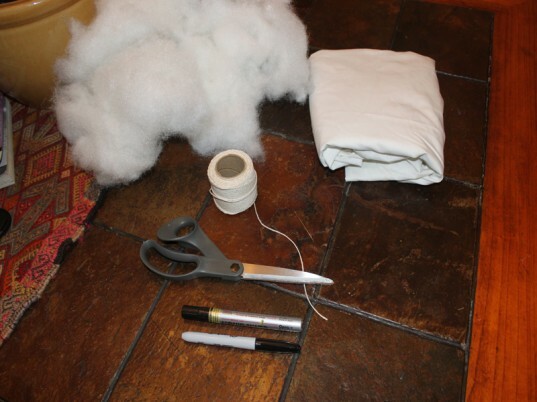 Using your scissors, cut the one larger sheet into 4 smaller square sheets. 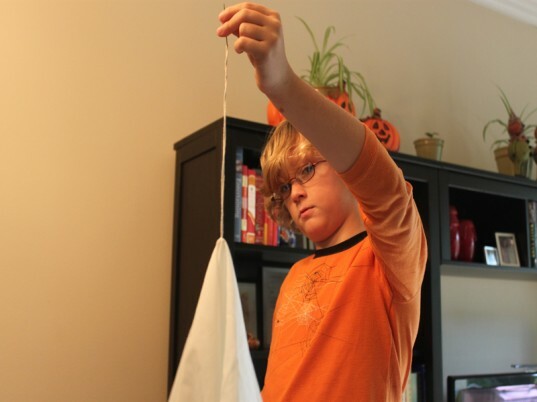 Add twine to a needle and thread it through the middle of the sheet (make sure to tie off the end). 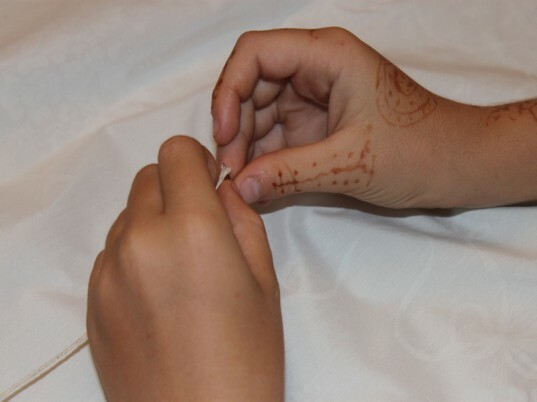 Cut the needle from the twine and secure the pieces together with a double-knot. 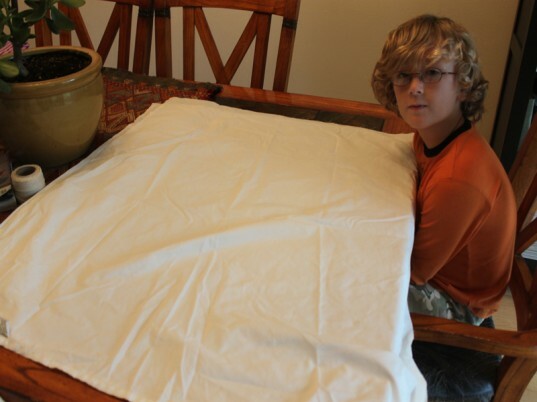 Add anything round for the head, we used batting from an old pillow that had a hole in it. You could use old clothing, a ball, or scrap fabric remnants. 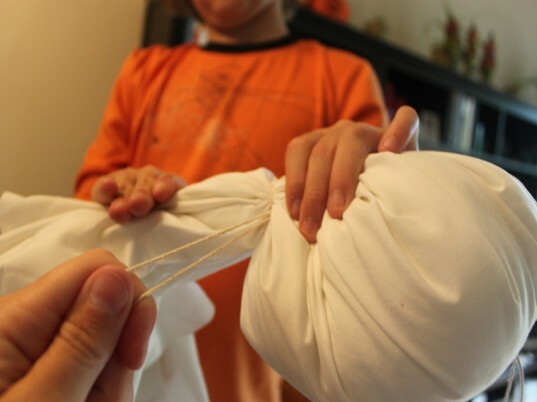 Tie a a piece of twine tightly around the neck of the ghost, secure with another double-knot, remove extra twine. 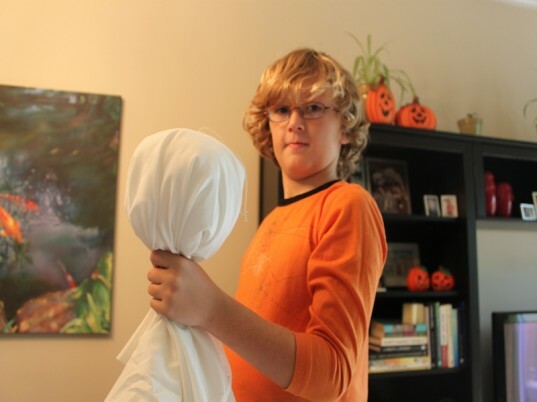 Give your child a marker and allow him to create a ghost face – repeat these steps to make 3 more ghosts. 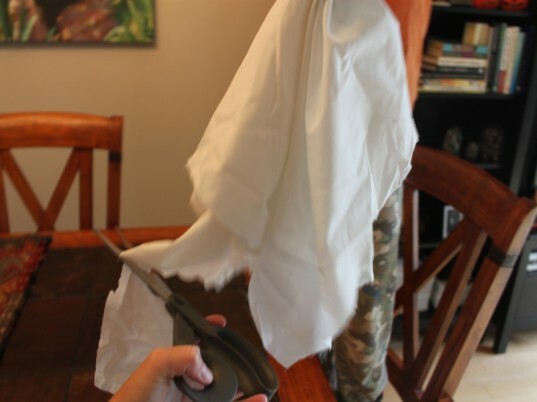 Use your scissors to cut the bottom of the ghost to make it look spookier. Hang your ghosts outside and watch them “fly” in the wind. 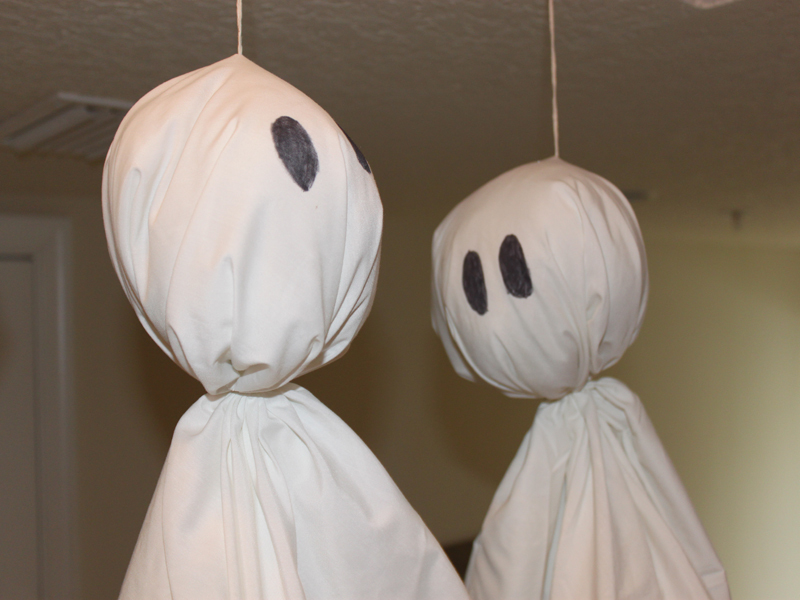 You can also hang them inside your home for a festive way to greet Halloween party guests. 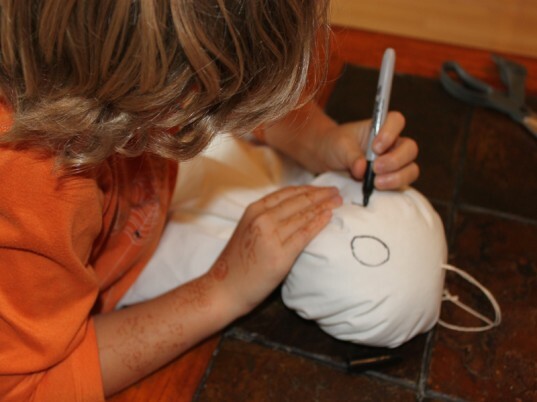 Give your child a marker and allow him to create a ghost face - repeat these steps to make 3 more ghosts. Hang your ghosts outside and watch them "fly" in the wind. 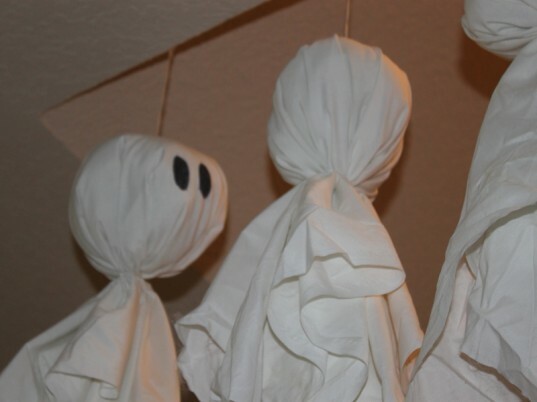 You can also hang them inside your home for a festive way to greet Halloween party guests.